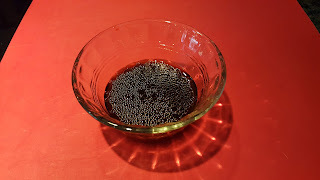 Set the oven to a temperature of 200°C (or 400°F). Wash the broccolette stalks and dry them in a towel. 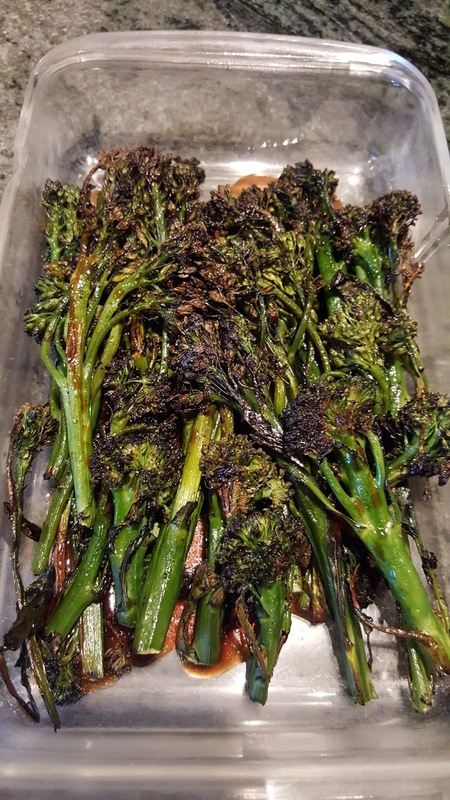 Lay the broccolette stalks in a shallow baking tray and sprinkle the pepper on them. 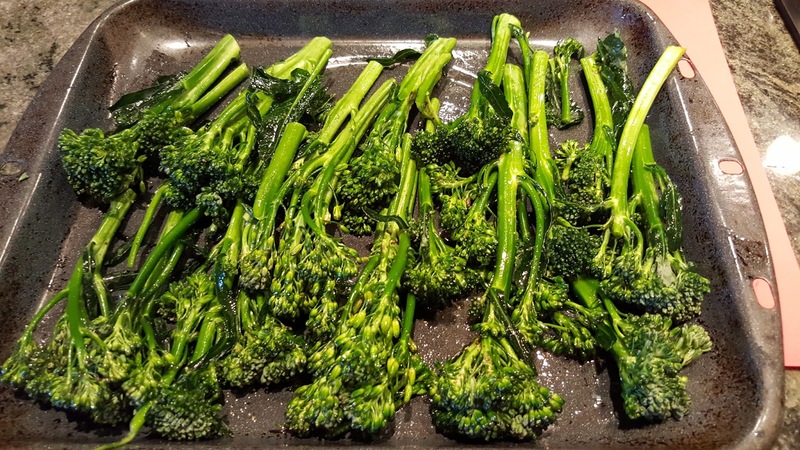 Drizzle the olive oil over the broccolette stalks, then mix them around until each piece is lightly coated. Roast the broccolette for 15 minutes, then turn the pieces over and roast for a further 10 minutes. The florets should be brown and slightly crisped. 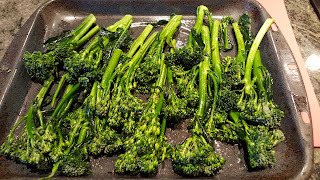 Remove the broccolette from the oven and allow them to cool slightly. 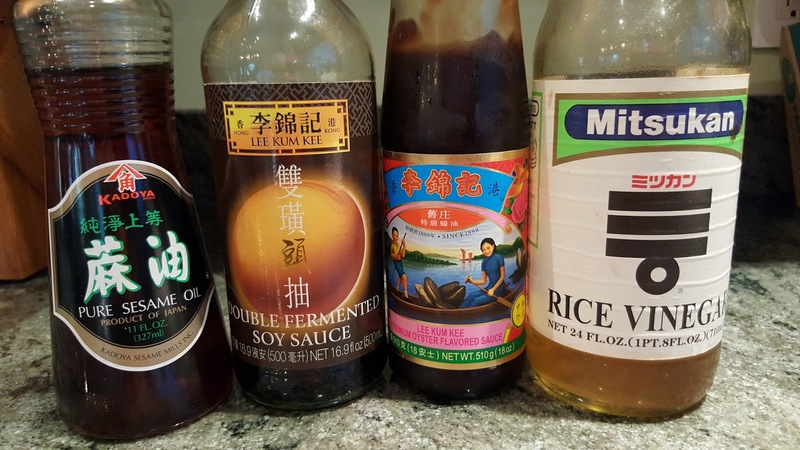 Whisk together the sesame oil and oyster sauce until they are thoroughly mixed, then add the soy sauce and rice vinegar, whisk again. Drizzle this dressing all over the broccolette. This is my current favorite vegetable dish. Broccoli is too densely flowered for me to really enjoy the texture and I have searched long and hard for ways to make it more palatable, as in Broccoli Bouquet on this blog. 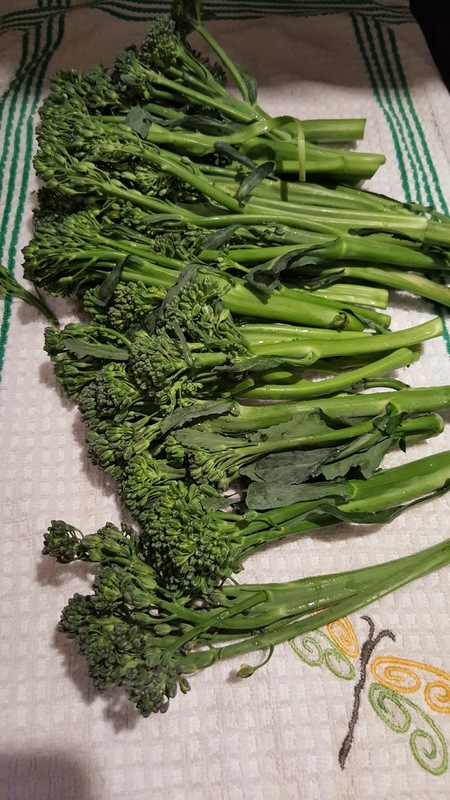 Chinese broccoli, which in China and in Chinatown is known as 'gai lan', is mostly all stalk, and that stalk is often very tough and fibrous. 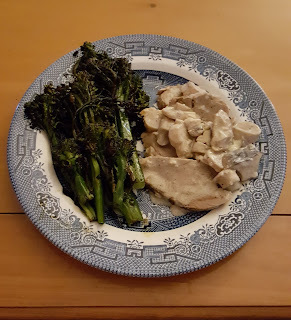 Broccolette, a hybrid from these two, has softer, sweeter stalks than gai lan, and fewer, looser buds on top. Roasting enhances the flavor, and the dressing provides piquancy.